Certain areas of multicultural cities like Birmingham have their own personalities. I think Jewellery Quarter is a good example. Not just for its historical importance, of course, but also for its vibrant atmosphere embraced by students, business people, jewellery makers and enthusiasts, young couples and foodies. 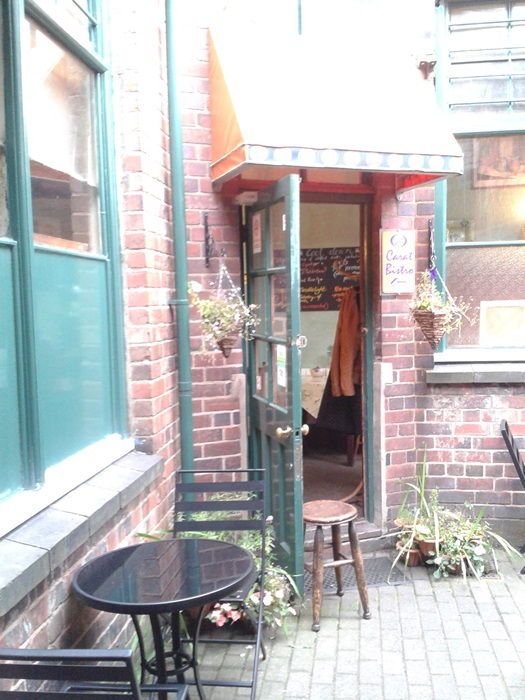 Everyone can find a favourite place to hang around in JQ. While some of my friends love the pubs and cafés in the area, the elderly highlight the importance of the Museum of Jewellery Quarter that preserves historical memorabilia about the area and the country itself. I guess it's because Jewellery Quarter has a very strong sense of community and independent businesses embrace it in a very authentic way. It's surely the case of 24 Carat Bistro, a restaurant with a lot of personality. Firstly, it's almost hidden between some fine jewellery shops at Warstone Lane. You have to be a bit "detailist" to spot the place. As soon as walk through the aisle, there is a beautiful and very cosy bistro; 24 Carat Bistro. The place is tiny so you can pay attention to all details that make 24 Carat Bistro a unique place in JQ. 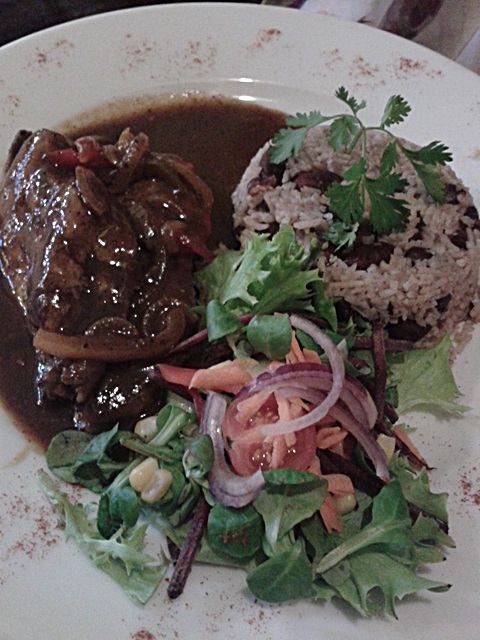 I would describe it pretty much as a French style bistro with a Caribbean soul. On previous occasions I barely could find a free table. And sometimes I have had to give up eating in this restaurant without even waiting in a queue. My fault! It's always packed, which is a sign of success, anyway. So it's better to think about booking a table before trecking down to the place. Luckily, this time we have plenty of tables available, unusual for a Friday afternoon. Or maybe we were a bit early for a lunch time. 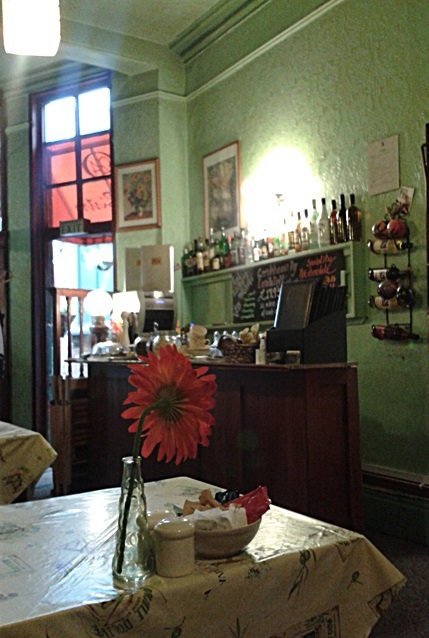 The staff are very receptive and a lady that I imagine being the owner of the restaurant welcomed us in a very warm way. She has passion about her business and that is what I expect to see anywhere I go for food. And as soon as we get the menu, I knew I would have quality food. It's all about delicious home cooked Jamaican food with a bit of a twist. 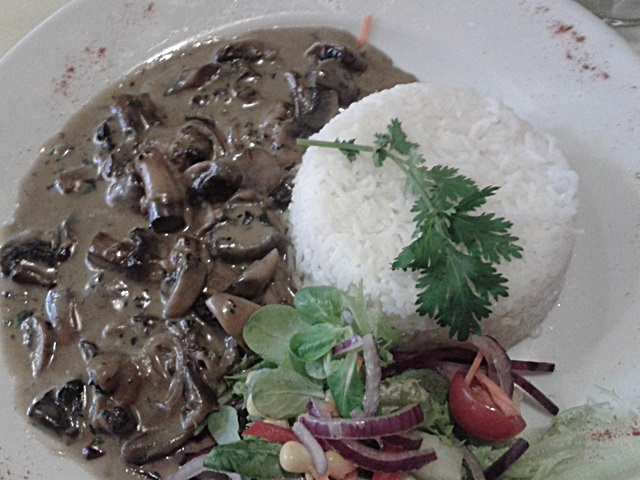 I was quite happy to go for some Mushroom Stroganoff and had no regrets about it. It was tasty and I could have eaten more, in a very generous Caribbean kind of portion. My friend got the authentic Caribbean Jerk chicken and I think she seemed to enjoy it. 24 Carat is an ideal place to take a friend for a quick bite or your husband/boyfriend for a romantic dinner. There is an inviting fire that makes the place a bit warmer and it can be a good deal now when the temperatures start dropping here. Another great deal is trying their option of locally produced wines. 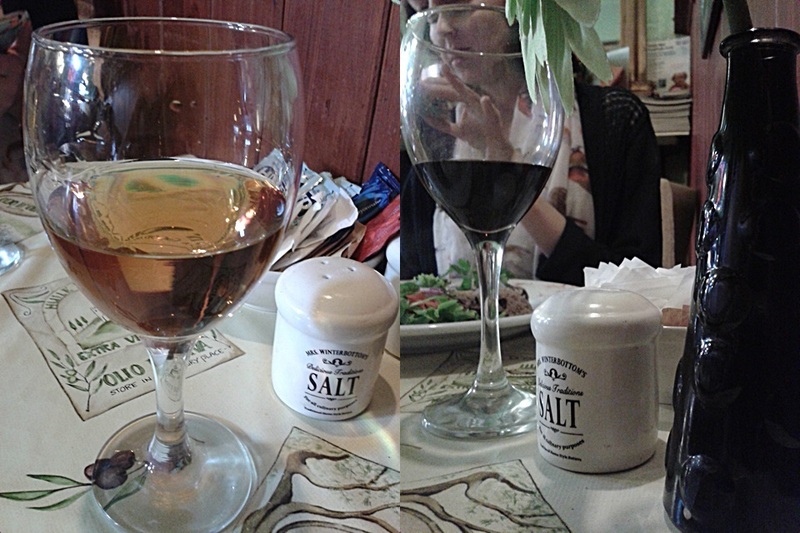 It was my friend's idea to try two different types of wines. And I embraced it without hesitation, of course. First one: a generous glass of Black beer and raisin wine; a rich and malted wine perfect for cold days and I could go with a bottle to myself. Second one: a spiced ginger. I don't remember the exact name of the producers but both tasted delicious and I will give them a try again soon. Definitely! Puds time: and because it was a Friday aka "the international treating yourself day" we chose two delicious options on the menu to share. A chocolate cake and a pineapple and rum one from heaven! I have no idea which dessert was the best but I pretty much like the idea of sharing it. Friends, family and husband, you' re all more than welcome to go back to 24 Carat Bistro to share some gorgeous food with me.